Planning and executing the perfect wedding and reception can be a really stressful and taxing process. This is why destination weddings are so popular, especially in places where the resorts offer package deals for couples getting married. Garza Blanca Residence club offers different packages for your wedding ceremony, and for the reception afterwards. You can be sure that every detail of the reception and ceremony will be given equal attention, care, and consideration! One of the best things, however, is definitely that the Garza Blanca Residence Club is situated in heavenly surroundings. Those who want a beachside wedding will be delighted with the lush, tropical setting of the resort which is nestled between the Sierra Madre Mountains and Banderas Bay in Mexico! Here’s all the information you’ll need when it comes to the packages offered by the Garza Blanca Residence Club. The ceremony packages on offer come in three levels: Gemstone, Crystal, and Jewel, and they are designed not only to make sure that your ceremony is stunning, but that you arrive refreshed. Along with the stunning floral arrangements, options for a waterside gazebo, matching boutonniere and bouquet, and the reverend of course, your package also includes extras like suite upgrades and spa treatments for the bride and groom. These depend on your budget and the size of your wedding party, of course. Every aspect of your wedding ceremony, from the very biggest to the smallest and most finicky, will be given an outstanding level of care, consideration, and thought. Your perfect, waterside wedding will of course need a classy and sophisticated reception to go with it. 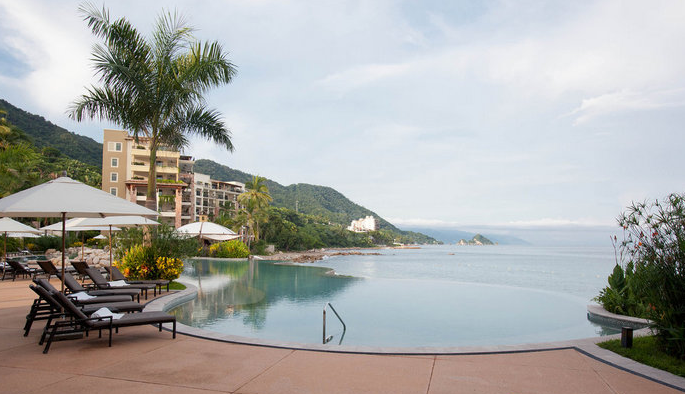 The Garza Blanca Residence Club can provide you with a celeb-worthy reception easily! You can choose between the Gold and Diamond packages, and will have control over every aspect of the evening. You can choose to have a cocktail hour to begin with, followed by the Chef’s finest hors d’oeuvres and a two or three course meal which will be served by an experienced service team. You will, of course, choose your own cake, and can opt to have late night snacks served for your guests. You can also opt to have an open bar! You can rest easy in the knowledge that the reception will be treated with as much respect and care as the ceremony itself. A wedding at Garza Blanca is a must for members.